Kim has added a new member to our production team. Nikolai Metin has joined as Producer, replacing Leeah Odom, who unfortunately was not able to continue. Nikolai is an experienced feature film Producer, with over 10 years experience in the field. His feature credits include Ela Thier’s new film The Great Despair and Jeff Lipsky’s Mad Women. He was Managing Partner at the production studio Tribeca Sun Factory, and has experience in post-production as well, editing, color grading, VFX and sound editing. Nikolai is very knowledgeable about the film business, dedicated, and a joy to work with. We’re very lucky to have him on board. Here’s the first teaser video for our upcoming film, Kim, hot off the presses. Enjoy! We’ve finished writing our business plan for Kim, the last step before we can seriously begin fundraising. It was an interesting process, and it forced us to think through 5 basic aspects of our production. The first was figuring out how to define the film, and how to talk about it in a way that is both true to our vision and compelling enough to get people as excited about it as we are. The best bits of advice we found for this were: “describe in one sentence your story, and the twist that makes it different,” and “when you touch their hearts, they’ll open their checkbook.” We had to learn to describe our film succinctly in a way that is emotionally moving. The second thing we had to work through for the business plan was a thorough and realistic budget for the film. To talk about that in detail would probably take a few blog posts, much more space than I have here today. The third thing was to look at other similar films and see how they did financially. We looked at low-budget psychological science fiction films, that played down action and violence, as well as films that were more artistically oriented and films that played with the conflict of reality and fantasy. While this can’t give us any guarantee how Kim will perform, it can at least show us how it might do. Fourth was to research and understand film marketing, and all the opportunities and challenges facing independent filmmakers today. We worked to identify our films assets – its strengths and the things that make it unique, then how to identify audiences that value those assets, and then how to contact and communicate with those audiences. And fifth, was to look at the distribution options available for independent films. This proved the trickiest part, because it’s the thing most likely to change in the 12-18 months between now and when post-production is finished. We made an inventory of all the current distribution options, everything from VHX to Vimeo-on-Demand to iTunes to Tugg, to traditional theatrical distributors. We’ll have to continue monitoring and researching all options over the next year so we’ll be prepared when the film is finished and ready for release. I hope you found this quick overview of our process for writing a business plan interesting, and helpful if you’re working on your own film. 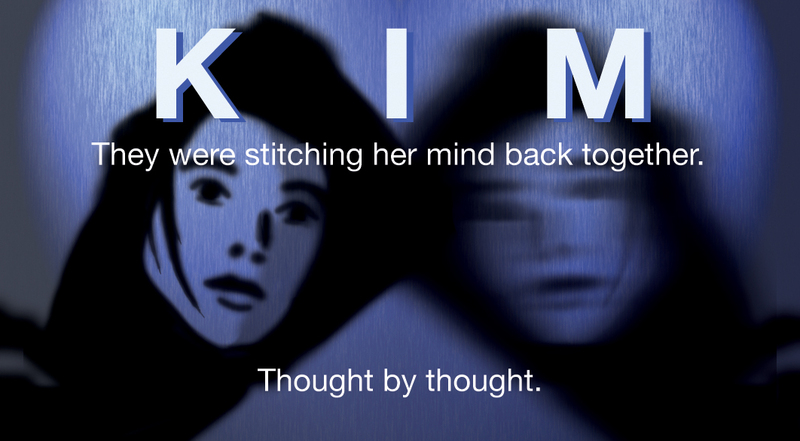 For us, it’s on to raising the money to make Kim, More on that as the process proceeds. Been crunching numbers lately, but before I go on, I’ll define a few terms for those unfamiliar with the intricacies of film production. Pre-production is the time spent preparing the film before the actual shoot, this includes writing the script, hiring the crew, auditioning, casting, and rehearsing the actors, finding locations, rasing money, and whatever preparations we need for the camera crew and the art, props and sets. Production is the time when the cameras are rolling and we’re shooting the picture. Post-Production is everything that happens after the shoot. Editing, composing the music, doing the sound design and sound editing, festival submissions, marketing, and distribution of the final film, etc. The Fundraising Plan: how are we going to raise the money for Kim? The Budget: How are we going to spend the money once we get it? The Business Plan: How are we planning to make the money back once the film is made? Investors and funders will certainly want to see the Budget and Business Plans before they contribute money, but they’ll probably also be interested in seeing the Fundraising plan to make sure that our plans are solid and we’ll be able to raise the rest of the money for the production. As we finish up the Budget, some of the issues we’re facing are trying to nail down the locations and the costs for the locations, deciding the size of the crew we’ll need on set as well as the length of the shoot, and deciding how many paid pre-production days we’ll have for the actors, the art department, and camera crew. We also need to include money in the busget for post-production or be forced into a second round of funding after the film is shot, as well as a little extra contingency money for unforeseen emergencies (usually about 10% of the budget). Our Production Consultant, Jenna Payne, has been invaluable to the process, providing us much needed insight and guidance as we nail down the numbers. With her experience and expertise, she’s helped us cut expenses and helped us stay realistic in terms of what things will actually cost. I met with Elle, our Production Designer yesterday, and we had a good talk about the look of the film. We discussed what genre Kim belongs to and agreed that though on the surface it’s a science fiction film, Kim might be better thought of as a surreal dream or nightmare, at least that’s a productive way for us to think about it as we develop the visuals. I like the way Elle thinks. This meeting gives me confidence we are on the right track. I commissioned Elle to do some pre-production art, so we should see some of her work up on the website soon. The website for my upcoming film Kim is now live. Check it out! I’ll be using the blog you’re reading now for regular updates on the film, but the new site will be the main location for all the vital information about the film. We’ll be adding visuals and behind the scene details as the project progresses. 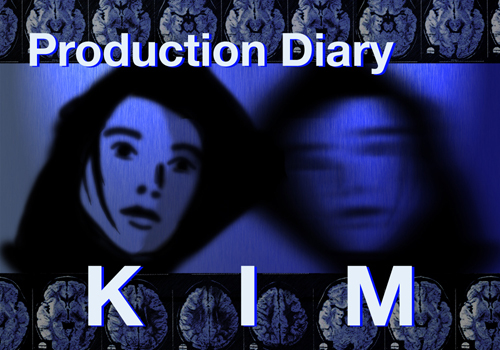 I’ve begun pre-production on my new film, Kim. It’s a sci-fi psychological thriller. Logline: A young woman suffering from amnesia must discern reality from fantasy and piece together the puzzle of her past, or lose her true identity forever. We’re currently looking for a Producer to help shepherd the pre-production process. The Producer should have experience with micro-budget (under 200K) feature film production (or be ready to move up to it) and should also be familiar with innovative ideas for social media promotion, fundraising, and distribution. Immediate needs include developing a budget, a business plan and a fundraising plan. Interested candidates should contact me via this website.